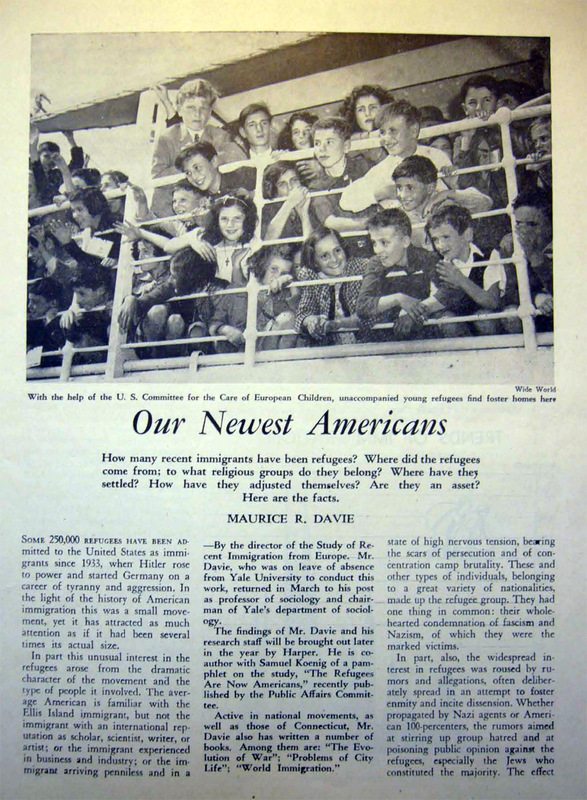 Debates about immigration swirled in Congress from 1944 on, as Americans considered what their role should be in responding to the crisis of Displaced Persons as the war ended. American Jewish communal organizations like the United Service for New Americans and non-Jewish organizations like the Citizen's Committee for Displaced Persons were primarily concerned with reforming American Immigration policy. Quota policies in place since the 1924 Immigration Act limited the number of survivors that could legally enter the United States and made no exceptions for victims of Nazism. Featuring the plight of DPs through radio, print, and film materials was one strategy of communal organizations that sought to change public perception of immigrants. The narratives of Holocaust survivors highlighted the potential for European DPs to be successful and productive American Citizens. Even groups, like Hadassah, that did not advocate for changed American immigration policy depicted the need for immigration in their public materials. Hadassah and other Zionist groups, however, fought for immigration out of Europe to Palestine and, after 1948, to Israel. Version 7 id 23994 of this page, updated 30 January 2014 by Rachel Deblinger. Created by Rachel Deblinger.